March 22 is the birthday of the super hero, the woman of valor, the Super Woman- Wonder Woman. Wonder Woman is a fictional character that first appeared in DC comics in December 1941. 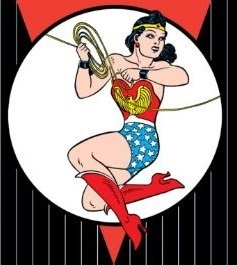 The figure was created by William Moulton Marston (the man who invented the Systolic Blood Pressure Meter and the Polygraph), and is among the most famous characters of superheroes. Wonder Woman is one of DC's top three superheroes, together with Superman and Batman. Wonder Woman is the Princess of the Amazons Diana (based on Greek mythology). It has superhuman powers and tools given to her by the Olympic gods, in order to bring peace, love and brotherhood to our world. 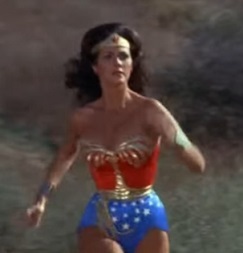 In the new adaptation of the character, Wonder Woman received her qualities and powers from Greek mythology: the beauty of Aphrodite, the goddess of love and beauty, the wisdom of Athena, the goddess of wisdom and justice, her physical strength from the goddess Demeter, and her animal instincts from Artemis, the goddess of hunting, wildlife and the moon. 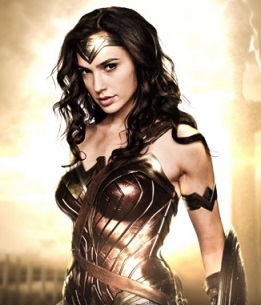 The 2017 Wonder Woman film plays the character of Wonder Woman Israeli actress Gal Gadot. Gal Gadot as Wonder Woman, Warner Bros. Studios 2017. Between 1975 and 1979, there was an American television series called Wonder Woman in which actress Linda Carter starred as the woman of valor. Why is March 22 the birthday of Wonder Woman? Unlike superheroes like Superman and Batman, the story of Wonder Woman's birth is not told in any of her advertising. DC announced on its calendar in 1976 that March 22 is the day Wonder Woman was born on the island of Paradise. It is not clear why they chose this date. It may be because it is the equinox, the day the length of day and night is equal and spring begins, and this corresponds to the values that Wonder Woman represents - equality and justice.